A number of U.S. states may follow the District of Columbia in suing the $380 bln social network for misusing customer data. It’d be reminiscent of the 1990s fight against cigarette makers. 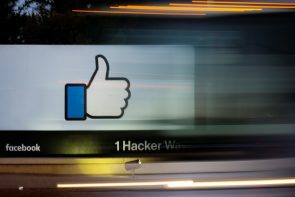 A similar outcome would leave Facebook paying huge fines and bound by tighter rules. Apple boss Tim Cook is taking aim at social networks' privacy issues. Meanwhile Facebook CEO Mark Zuckerberg has been keen to point out the iPhone’s dominance. Where other industries stick together in the face of regulatory challenges, tech is making politicians' work easier. The Google parent raked in more revenue and profit during the third quarter. The stronger the $730 bln firm gets, the more scrutiny it will attract from watchdogs who want to safeguard consumer data. The Apple boss’s call for tighter privacy restrictions is a telling sign. The search giant kept secret a security hole to avoid regulators’ scrutiny, the Wall Street Journal says. The lack of transparency underlines that such disclosures should be out of managers’ hands. U.S. lawmakers eyeing a law similar to Europe’s GDPR have an extra argument.